We’re sharing a playful games for the holidays with toddlers and preschoolers. 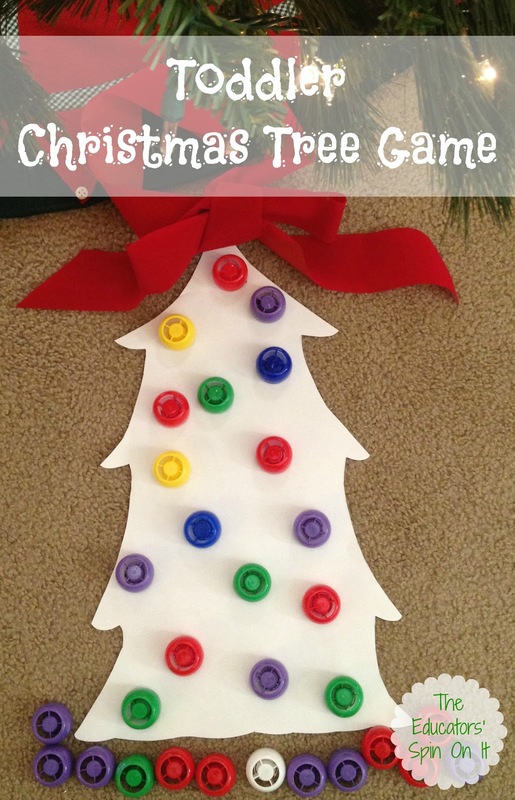 This Christmas Tree Game will provide hours of play plus sneak in a little learning too! 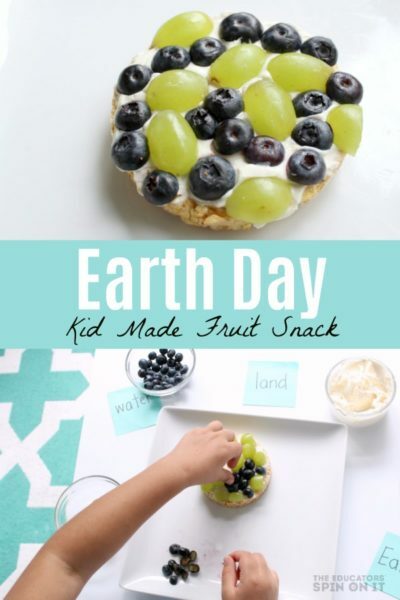 Earth’s Best Organic which all a big hit at our house when we’re on the go or need a quick backup for fruits and veggies. sticky side up and hang it up for another dimension now that she understands the concept. It’s time to Decorate the Christmas Tree! Let them create their own decorations on the tree. Have your child place the lids randomly. Observe what they try to do first. If they hesitate model for them. Then see if they can select only one color or type from the pile of lids. 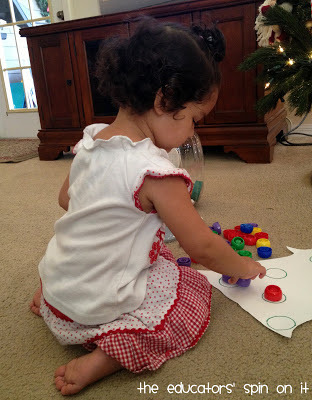 You can encourage your child to make patterns for lights. See if they can line the outline of the tree or add ends to the branches. 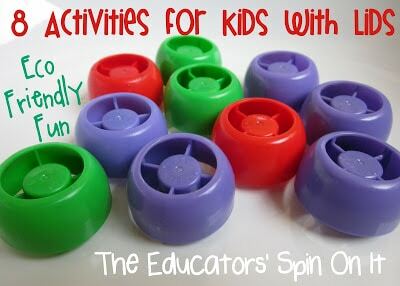 The are all great for building fine motor skills, visual discrimination and problem solving. 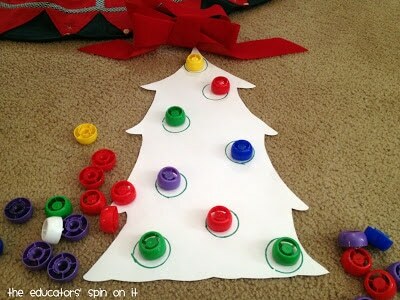 If your child is having trouble getting started go ahead and draw circle on the tree for your child to have specific spots to match the lids onto. 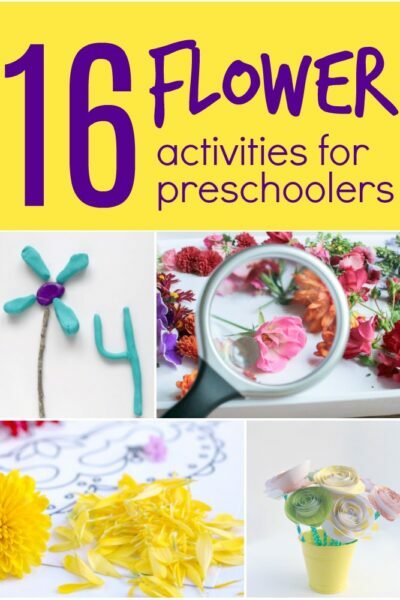 This is great for one to one counting skills and fine motor skills. This can even become a counting game for older Tots! 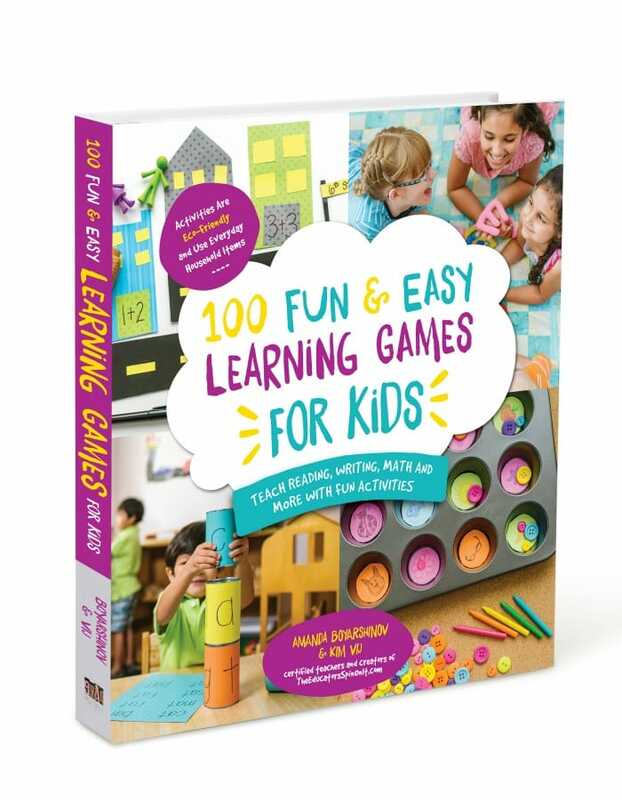 This is such a fun little game, so simple but yet your child can build many skills from it. It also makes an easy game for on the go this holiday season. 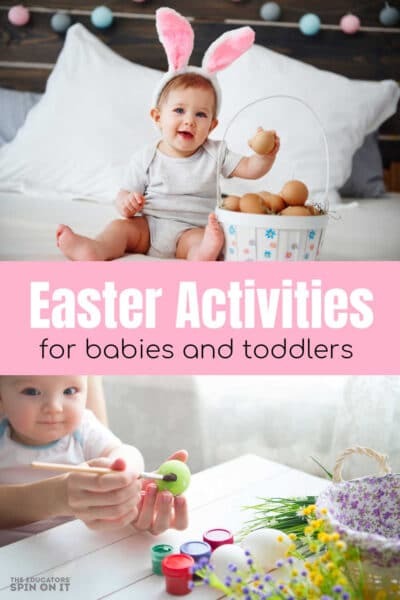 Check out below for other activities you can play with your child with lids and on the go. 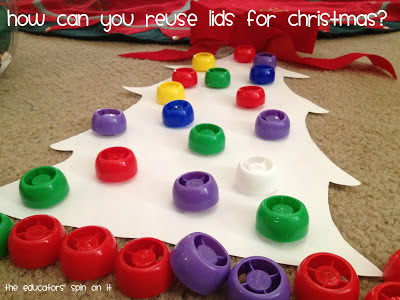 Do you have any more ideas with lids for the holidays? You know your child best and lids can be a choking hazards. Use Adult supervision at all times with lids! genius! i hesitate everytime i toss one of those lids bc they are so neat i just know theres something we can use them for….duh!!! thanks! These are the things that make me wish I used the squeezy bag food (I may not have thought to keep the lids however). I love love love this!! Neat Idea! This is a fun way to use the lids! What a great way to reuse the lids! Wow! To think that I have thrown out tons of them! Booh, hooh! LOL Now I'm going to start saving them. Thanks for an awesome idea! Great idea! 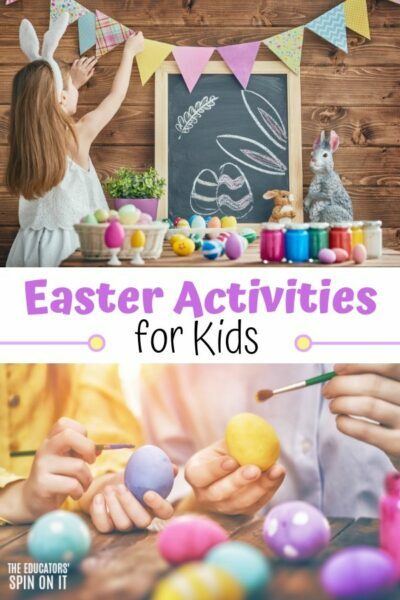 I'm a big fan of activities that re-use things from around the house!